Nintendo at this time saw how successful video games were and began to dabble in them. Their first step in that field was to secure the rights to distribute the Magnavox Odyssey in Japan, which they did in 1975. At the time, home video game consoles were extremely rare — even the seminal Atari Pong console had yet to be produced. After experiencing reasonable success at this, Nintendo began developing its own video games, both for the home and for arcades. In the 1970s, Mitsubishi Electric proposed joint development of “Color TV Game Machine”. In 1977, they released “Color TV Game 6” and “Color TV Game 15” (6 and 15 indicates the number of games). Their first video arcade game was 1978’s Computer Othello; a large handful of others followed in the next several years, Radar Scope and Donkey Kong being among the most famous of these. The early 1980s saw Nintendo’s video game division (led by Yokoi) creating some of its most famous arcade titles. The massively popular Donkey Kong was created in 1981 with Miyamoto as its mastermind, and released in the arcades and on the Atari 2600, Intellivision, and ColecoVision video game systems (although Nintendo themselves generally had no involvement with these early console ports). This release method would be used on several later Nintendo arcade games of this same period, including the original Mario Bros. (not to be confused with the later Super Mario Bros.) In addition to this arcade and dedicated console game activity, Nintendo was testing the consumer handheld video game waters with the Game & Watch. In July 1983, Nintendo released their Famicom (Family Computer) system in Japan, which was their first attempt at a cartridge-based video game console. The system was a failure until the release of the game Super Mario Bros., selling over 500,000 units within two months. 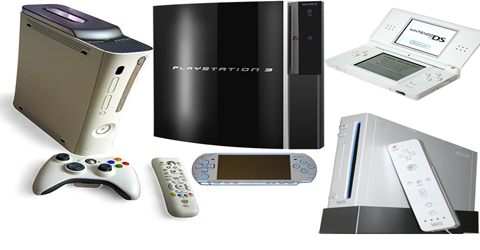 The console was also a technical insulation and inexpensive when compared to its competitors, priced at about $100 USD. However, after a few months of the consoles selling well, Nintendo received complaints that some Famicom consoles would freeze when the player attempted to play certain games. The fault was found in a malfunctioning chip and Nintendo decided to recall all Famicom units currently on store shelves, which cost them almost half a million USD. By 1985, the Famicom had proven to be a huge continued success in Japan. However, Nintendo also encountered a problem with the sudden popularity of the Famicom — they did not have the resources to manufacture games at the same pace they were selling them. To combat this, Yamauchi decided to divide his employees into three groups, the groups being Research & Development 1 (R&D 1), Research & Development 2 (R&D 2) and Research & Development 3 (R&D 3). R&D 1 was headed by Gunpei Yokoi, R&D 2 was headed by Masayuki Uemura, and R&D 3 was headed by Genyo Takeda. Using these groups, Yamauchi hoped Nintendo would produce a small number of high quality games rather than a large number of average quality games. The Nintendo Famicom, released in 1983, sold well in Japan. During this period of time, Nintendo rekindled their desire to release the Famicom in the USA. Since the company had very little experience with the United States market, they had previously attempted to contract with Atari for the system’s distribution in 1983. However, a fiasco involving Coleco and Donkey Kong soured the relationship between the two during the negotiations, and Atari refused to back Nintendo’s console. The video game crash of 1983 soon took out not only Atari, but the vast majority of the American market itself. Nintendo was on their own. Nintendo was determined not to make the same mistakes in the US that Atari had. Because of massive influxes of games that were regarded as some of the worst ever created, gaming had almost completely died out in America. Nintendo decided that to avoid facing the same problems, they would only allow games that received their “Seal of Quality” to be sold for the Famicom, using a chip called 10NES to “lockout” or prevent unlicensed games from working. In 1985, Nintendo announced that they were releasing the Famicom worldwide — except under a different name — the Nintendo Entertainment System (NES) — and with a different design. They used a trojan-horse tactic to counter the bad view that the media was giving on video games, and released the NES with R.O.B. units that connected to the console and were synchronised to the games. To ensure the localization of the highest-quality games by third-party developers, Nintendo of America limited the number of game titles third-party developers could release in a single year to five. Konami, the first third-party company that was allowed to make cartridges for the Famicom, would later circumvent this rule by creating a spinoff company, Ultra Games, to release additional games in a single year. Other manufacturers soon employed the same tactic. Also in 1985, Super Mario Bros. was released for the Famicom in Japan and became a large success. The Nintendo Entertainment System (NES), released in 1985, is one of the most popular consoles of all time. Nintendo test marketed the Nintendo Entertainment System in the New York area on October 18, 1985. They expanded the test to Los Angeles in February 1986 followed by tests in Chicago and San Francisco. They would go national by the end of 1986, along with 15 games, sold separately. In the US and Canada, it outsold its competitors by a wide margin. This was also the year that Metroid and Super Mario Bros. 2 (the Japanese version) were released. In 1988, Nintendo of America unveiled Nintendo Power, a monthly news and strategy magazine from Nintendo that served to advertise new games. The first issue published was the July/August edition, which spotlighted the NES game Super Mario Bros. 2. Nintendo Power is still published today with its two hundredth issue released in February 2006. In 1989, Nintendo (which had seen a large amount of success from the Game & Watch) released the Game Boy (both created by Gunpei Yokoi), along with the accompanying game Tetris. Due to the price, the game and its durability (unlike the prior Microvision from Milton Bradley Company, which was prone to static and screen rot), the Game Boy sold extremely well. It eventually became the best selling portable game system of all time. Later, Super Mario Land was also released for the Game Boy, which sold 14 million copies worldwide. 1989 was also the year that Nintendo announced a sequel to the Famicom, to be called the Super Famicom. By the end of the 1980s, Sega sued Nintendo, claiming that they had abused their relationship with third-party developers and created a monopoly in the gaming industry by not allowing developers to make games for any other platforms. The courts found Nintendo guilty of anti-trust activities. They changed this rule during the Super NES era, allowing Sega to start a massive console war against Nintendo with the Sega Mega Drive and Game Gear. This occurred once more in 1996, when Sony released the PlayStation. The last major blockbuster game for the NES, Super Mario Bros. 3, was released in early 1990. The game went on to sell over 18 million units. The Super Famicom was released in Japan on November 21, 1990. The system’s launch was widely successful, and the Super Famicom was sold out across Japan within three days. In August 1991, the Super Famicom was launched in the US under the name “Super Nintendo Entertainment System” (SNES). The SNES was released in Europe in 1992. The Super Nintendo Entertainment System followed in the steps of its predecessor, with a low price and high technical specifications for its era. The controller of the SNES had also improved over that of the NES, as it now had rounded edges and four new buttons. In Japan, the Super Famicom easily took control of the gaming market. In the US, due to a late start and an aggressive marketing campaign by Sega, Nintendo saw its market share take a precipitous plunge from 90-95% with the NES to a low of approximately 35% against the Sega Genesis. Over the course of several years, the SNES in North America eventually overtook the Genesis, thanks to franchise titles such as Super Mario World, The Legend of Zelda: A Link to the Past, Street Fighter II, and the Final Fantasy series. Total worldwide sales of the SNES were higher than the Genesis. In 1992, Gunpei Yokoi and the rest of R&D 1 began planning on a new virtual reality console to be called the Virtual Boy. Hiroshi Yamauchi also bought majority shares of the Seattle Mariners in 1992. In 1993, Nintendo announced plans to develop a new 64-bit console codenamed Project Reality that would be capable of rendering fully 3D environments and characters. In 1994, Nintendo also claimed that Project Reality would be renamed Ultra 64 in the US. The Ultra 64 moniker was unveiled in arcades on the Nintendo branded fighting game Killer Instinct and the racing game Cruisin’ USA. Killer Instinct was later released on the SNES. Soon after, Nintendo realized they had mistakenly chosen a name for their new console that the Konami corporation owned the rights to. Specifically, only Konami would have the rights to release games for the new system called Ultra Football, Ultra Tennis, etc. Therefore, in 1995 Nintendo changed the final name of the system to the Nintendo 64, and announced that it would be released in 1996. They later showed previews of the system and several games, including Super Mario 64, to the media and public. 1995 is also the year that Nintendo purchased part of Rare. In 1994, after many years of Nintendo’s products being distributed in Australia by Mattel since the NES in 1985, Nintendo Co., Ltd opened its Australian headquarters and its first Managing Directors were Graham Kerry, who moved along from Mattel Australia as Managing Director and Susumu Tanaka of Nintendo UK Ltd. In the mid-90s Nintendo of America eased up on its stringent policies on blood and violence. After Sega created the Sega CD add on for its 16-bit machine, Nintendo initially contracted with Sony to develop an add-on CD-ROM drive for the SNES, but realized that Sony would get all the profit from the CD-ROM media, and also surprised at the failure of Sega CD, Nintendo terminated the contract and went with Philips. Nintendo announced their alliance with Philips at the same conference that Sony announced their CD-ROM drive. Nothing happened about the add-on drive in regard to the SNES, but Sony took the time and research and began to spin it off into a new product, the PlayStation. Philips took a similar route and developed the far less successful CD-i. Since Philips had already gained license to create games using Nintendo’s exclusive characters, games from series such as Mario and The Legend of Zelda appeared on the CD-i, though most fans discard them from being part of the series due to their entirely third-party development and poor quality. The deal between Philips and Nintendo eventually fell through, and the CD-i was seen as another ill-fated attempt by Philips to enter the computer market. In 1995, Nintendo released the Virtual Boy in Japan. The console sold poorly, but Nintendo still said they had hope for it and continued to release several other games and attempted a release in the US, which was another disaster. Also in 1995, Nintendo found themselves in a competitive situation. Competitor Sega introduced their 32-bit Saturn, while newcomer Sony introduced the 32-bit PlayStation. Sony’s fierce marketing campaigns ensued, and it started to cut into Nintendo and Sega’s market share. On June 23 1996, the Nintendo 64 (N64) was released in Japan and became a huge hit, selling over 500,000 units on the first day of its release. On September 29 1996, Nintendo released the Nintendo 64 in North America, and it too was a success. Many feel that the advertising onslaught by Sony at this time did not truly begin to take effect until many of the consumers who held out for the N64 became frustrated at the lack of software following the first few months after the system’s release. What also greatly contributed to the extremely competitive climate that Nintendo was entrenched in was the fact that many third-party companies immediately began developing and releasing many of their leading games for Nintendo’s competing consoles. Many of those third party companies cited cheaper development and manufacturing costs for the CD format, versus the cartridge format. On December 1 1999, Nintendo released an add-on to the Nintendo 64 in Japan, titled the Nintendo 64DD, although it was never released elsewhere. The exterior of Nintendo’s main research center. It is a few blocks away from the company’s main headquarters. Nintendo followed with the release of the Game Boy Pocket, a smaller version of the original Game Boy. A week after the release of the Game Boy Pocket, Gunpei Yokoi resigned from his position at Nintendo. Gunpei Yokoi helped in the creation of a competitor system named the WonderSwan, using the skills he gained in the creation of the Game Boy. In 1996, Pocket Monsters (known internationally as “Pokémon”) was released in Japan to a huge following. The Pokémon franchise, created by Satoshi Tajiri, was proving so popular in America, Europe, and Japan, that for a brief time, Nintendo took back their place as the supreme power in the games industry. In 1997, Gunpei Yokoi died in a car accident at the age of 56. On October 13 1998, the Game Boy Color was released in Japan, with releases in North America and Europe a month later. Nintendo released the Game Boy Advance in Japan on March 21 2001. This was followed by the North American launch on June 11 and the European launch on June 22. Nintendo released the GameCube home video game console on September 14 2001 in Japan. It was released in North America on November 18 2001, Europe on May 3 2002 and Australia on May 17 2002. In 2002, Hiroshi Yamauchi stepped down as the president of Nintendo and named Satoru Iwata his successor. Nintendo and Chinese-American scientist Dr Wei Yen co-founded iQue to manufacture and distribute official Nintendo consoles and games for the mainland Chinese market under the iQue brand. During the same year, Nintendo’s aggressive business tactics in Europe would catch up to them. The European Commission determined that Nintendo had engaged in anticompetitive price-fixing business practices dating at least as far back as the early 90s. This resulted in a heavy fine being laid against the company- €149 million, one of the largest antitrust fines applied in the history of the commission. In May 2004, Nintendo announced plans to release a new brand of handheld, unrelated to the Game Boy, featuring two screens, one of which was touch-sensitive. The Nintendo DS, released on November 21 2004, received over three million pre-orders. In addition to the touch screen, the DS can also create three-dimensional graphics, similar to those of the Nintendo 64, although its lack of hardware support for texture filtering results in more pixelated graphics than on the Nintendo 64. On May 14 2005, Nintendo opened its first retail store accessible to the general public, Nintendo World Store, at the Rockefeller Center in New York City. It consists of two stories, and contains many kiosks of GameCube, Game Boy Advance, and Nintendo DS games. There are also display cases filled with things from Nintendo’s past, including Hanafuda playing cards, Nintendo’s first product. They celebrated the opening with a block party at Rockefeller Plaza. At E3 in May 2005, Nintendo displayed the first prototype for their “next-generation” system, codenamed the Nintendo Revolution (now known as the Wii), its controller revealed at the Tokyo Game Show later that year. On January 26 2006, Nintendo announced a new version of their Nintendo DS handheld, the Nintendo DS Lite, designed to be smaller and lighter, with a brighter screen. It was launched in Japan on March 2 2006. On May 25 2006, Reggie Fils-Aime was promoted to President and CEO of Nintendo of America, Inc. The former President, Tatsumi Kimishima, was promoted to Chairman of the Board and CEO. On June 11 2006, Nintendo released their update to the Nintendo DS, the Nintendo DS Lite, in North America, also on this day Nintendo opened its official US press site to the public which continued until June 17 2006. On June 23 2006, Nintendo released the Nintendo DS Lite in Europe. On July 7 2006, Nintendo officially established a South Korean subsidiary, Nintendo Korea, in the country’s capital, Seoul, which replaced Daewon Media as the official distributor of Nintendo products in South Korea. In mid-September 2006, during press conferences held in Tokyo, New York, and London on 13, 14 and 15 September, respectively, Nintendo announced launch details for its Wii console, as well as demonstrated features of the “Wii Menu” GUI. The Retail price was going for US$249.99 and was released on November 19 2006. The console is selling fast and is a big breakthrough for Nintendo, picking up the pace lost from their last console, the Nintendo GameCube. The Wii was released in Europe at €249 (£179.99 in the UK). On September 17, 2007, Nintendo of America closed its official forums, the NSider Forums, indefinitely due to a major overhaul of their site; for months prior, cutbacks in Nintendo of America’s online department led to the trimming back of NSider’s chat hours and the replacement of their annual Camp Hyrule event — held during August — with a sweepstakes. In the meantime, Nintendo encouraged fans to run their own forums. In response to this, some members of the NSider forums created a couple of online communities, one called NSider2 two days after the clousure, and another one, formed the same day of the clousure, which dissolved into NSF, both of which were intended to replace NSider. Nintendo-Europe’s forum section of their site was also officially closed down a week later due to a site revamp, however it had been offline citing “security issues” since June of that year. On December 19 2007, Nintendo opened new technical support forums, but discussion is now limited to technical support. In October 2007, Nintendo Co., Ltd announced Nintendo Australia’s new Managing Director, Rose Lappin, who is Nintendo’s first Female head of one of its subsidiaries and worked for Nintendo before it started in Australia as Director of Sales and Marketing for Mattel and had that role until she was announced Managing Director.